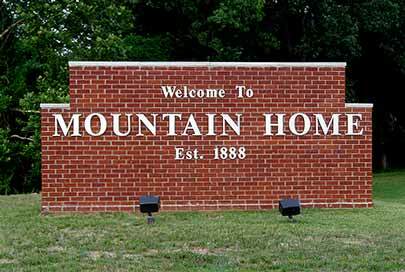 5 MOUNTAIN HOME AREA BLOGS YOU SHOULD BE READING! Bo Gregory, Director of Economic Development for the Mountain Home Area Chamber of Commerce writes about what is happening in the Twin Lakes Area, as well as economic development around the country. Check in periodically for his insights on jobs, area growth and development. Steve Dally of Dally's Ozark Fly Fisher has been writing about the ins and outs of his local fly shop for a few years, and has gained quite the following. The Ozark Fly Fisher Journal is an e-magazine for Dally's, located in Cotter, Arkansas. It's not your everyday fly fishing report, just the same as Dally's is not your average fly shop. You'll gain helpful information from articles and videos, learn from their tips and product reviews, and have a few laughs along the way. The Master's Masterpiece, written by Diane Burton is designed to help women through the trials & tribulations of life. Diane covers various topics, including dealing with weight issues and grief, to self control and addictive behaviors. She writes from an experienced past and a passion for helping women realize their true potential. The Dietitian's Corner is written by Ruth Ann Clayton, co-owner of Nature’s Way (The health food store on the square). She uses her comprehensive background to research products, read labels, investigate manufacturers and provide information for her customers. Ruth Ann's past experience and knowledge from years in public health and hospital settings, display her commitment to your health and well being. The Norfork Lake Fishing Report is written by Scuba Steve Street of Blackburns Resort, Darrell Binkley of Binks Guide Service, and Harvey Hall of Hard Times Crappie Guide Service. Between it's three authors, it is updated often with area fishing conditions and tips on how to reel your next big catch on Norfork Lake. If you would like for VisionAmp Marketing to feature your writing in the next edition of "Mountain Home Area Blogs You Should Be Reading" please send us an email at info@visionamp.com. If you're interested in breaking into the blogging world yourself, contact VisionAmp Marketing TODAY at 855.862.5491.